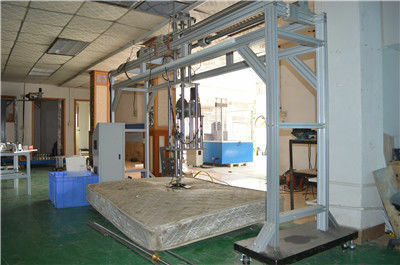 Cornell Mattress Foam Rebound Fatigue Test Machine apply to Innerspring ,Box spring mattresses and Foam mattress. 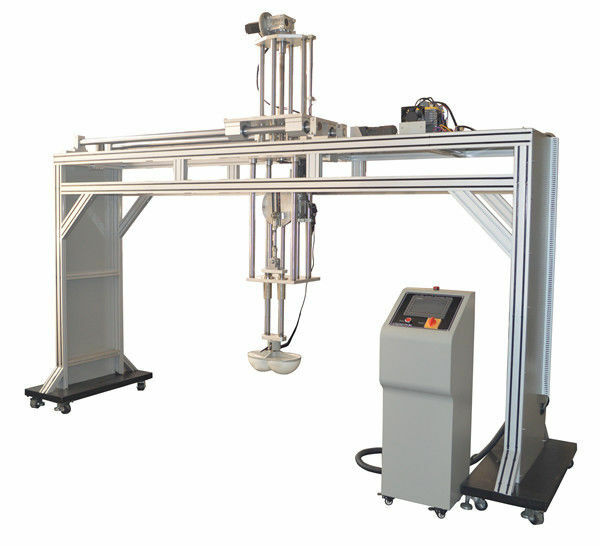 The Cornell Type Tester is used to test the long term capacity of bedding to resist cyclic loading. The machine consists of a double hemispherical ram head on a manually adjustable shaft. 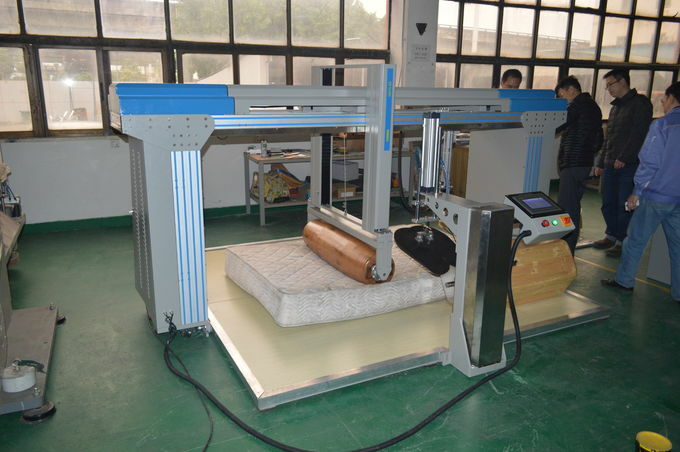 A load cell is located on the ram head to measure the force being applied to the mattress. The shaft is connected to an adjustable eccentric which is rotated by an electric motor at up to 100 cycles per minute variable. to assess their durability, and the fastness of mattress spring. LCD Touch screen, can display test graph, with USB port to output test results. adjust the height loss automatically. Single phase, AC 220V, 50-60Hz. 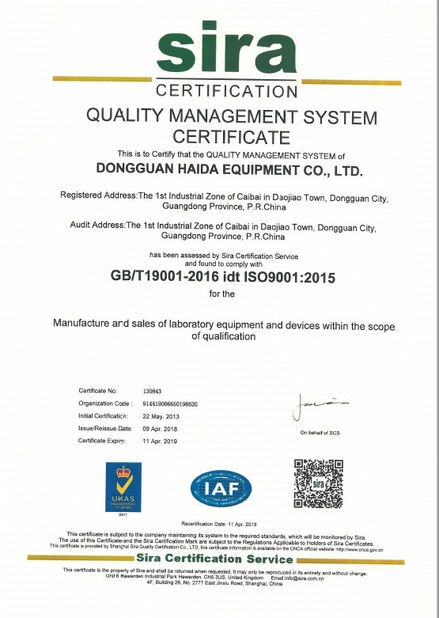 HAIDA INTERNATIONAL is a professional manufacturer of various kinds of testing equipments over 24 years. 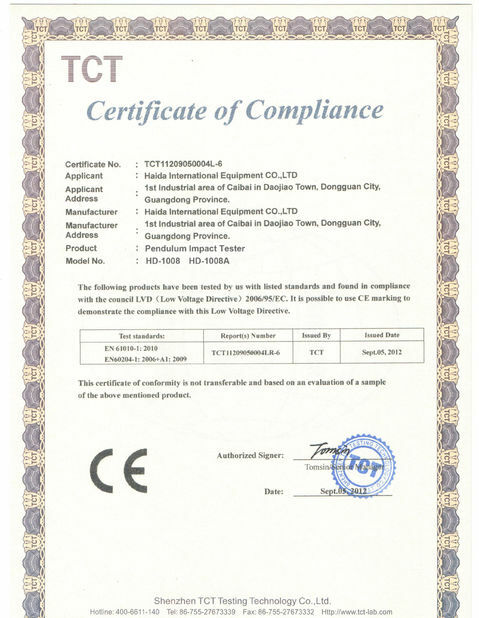 HAIDA products are widely used in paper products, packaging, ink printing, adhesive tapes, bags, footwear, leather products, environment, toys, baby products, hardware, electronic products, plastic products, rubber products and other industries, and applicable to all scientific research units, quality inspection institutions and academic fields.